22+ additional accessories are available. For additional customization click on the link here! Requires installation by licensed electrican. 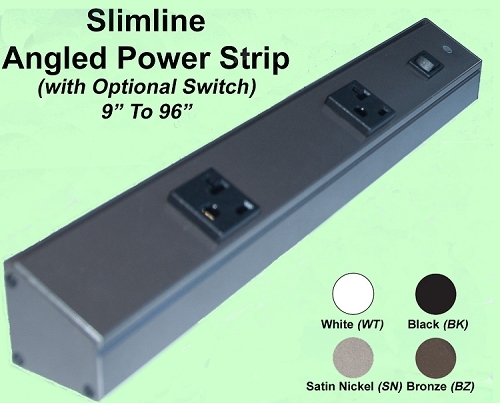 The Tamper-Resistant Angled Power Strip is the most versatile fixture to hide from sight, backsplash electrical outlets and switches. Sizes range from 9" to 72+" with powder coated aluminum frames in black, white, satin nickel and bronze finishes. 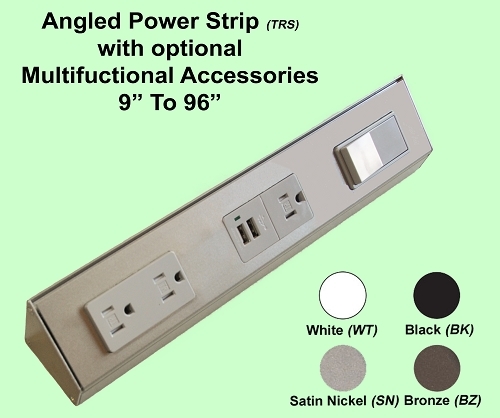 A complete selection of optional accessories is available in the Multifunctional Angled Power Strip product category. The selection of options is easy to use by just following the drop-down categories of options and functions. 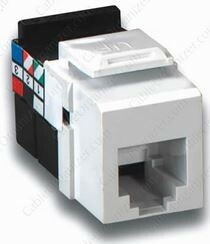 The UL/CL approved TR Series contains 20 amp duplex outlets which meet the 15 or 20 amp branch circuit requirements of the municipal building codes. Technically, special mounting plates for Decora duplex receptacles are used, rated at 125 Volt, NEMA: 5-15R, Pole: 2, 3-Wire, Straight Blade, Grounding, Quickwire Push-In & Side, Standards, and UL/CL Certifications. Shutter mechanism inside the receptacle blocks access to the contacts unless a two-prong plug is inserted, helping ensure hairpins, keys, etc., will be locked out from the outlet. TR symbol on residential receptacles assures they meet the 2008 NEC requirement. 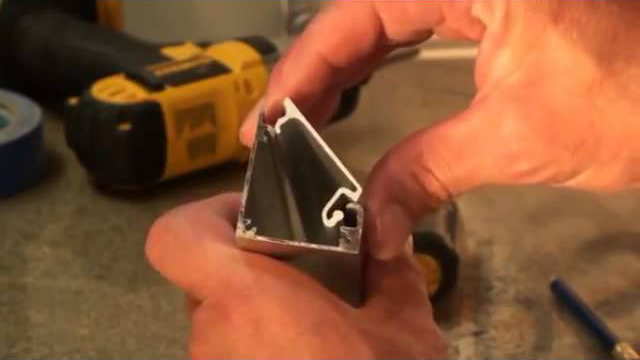 Ultrasonic heavy-duty construction offers long, trouble-free service life. Protects children from electrical shock injuries. Double-wipe power contacts for reliable conductivity and plug retention. 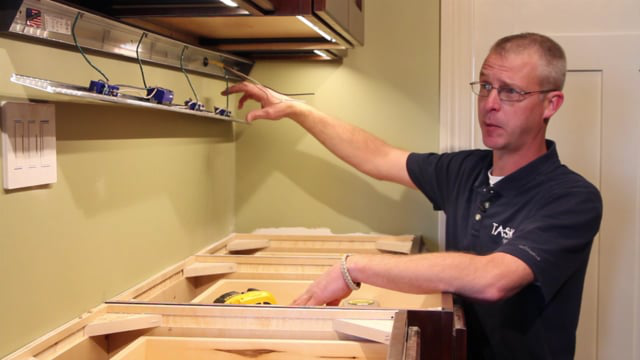 These videos show how to open and close a Single receptacle Angled Power Strips (AP Series). The same procedure is used for all the TR Series. All strips are custom made to your order because there are many variations in sizes and options. 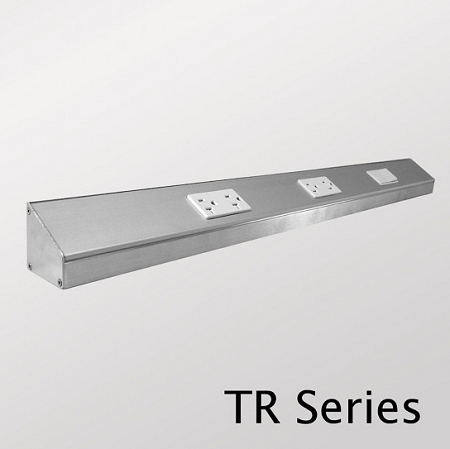 For the TR Series, LED power transformers can be incorporated for under cabinet lighting. 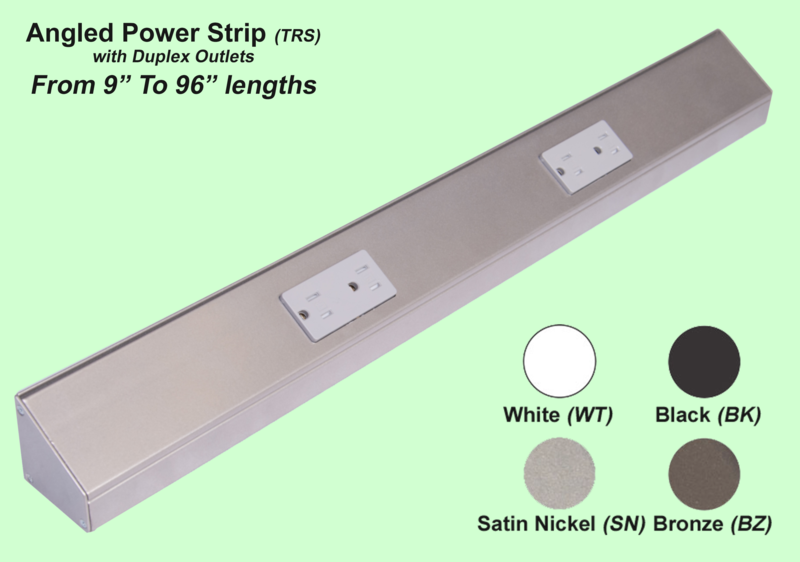 Angled Power Strips are available in 10 standard lengths, single receptacles (AP Series) or duplex receptacles (TR Series) Additional insert receptacles and switches can be added for both series. 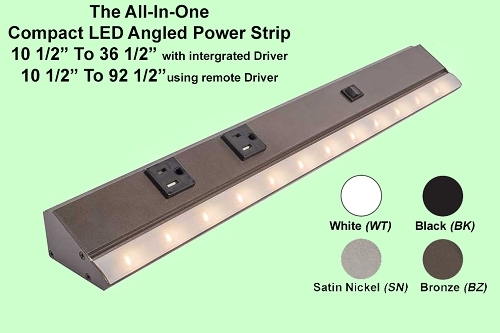 The TR Series gives additional options that can be added to the strip such as; multimedia inserts (data, TV, phone jacks) are an option.